Timo Werner scored the opener and created two more in an impressive Leipzig performance. 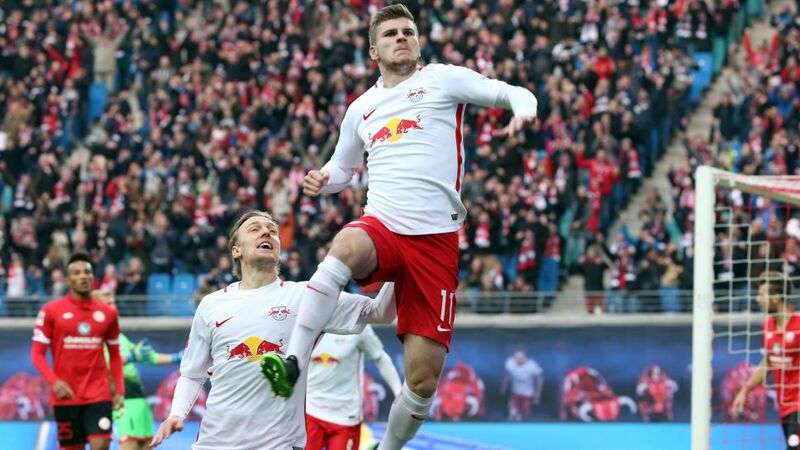 Timo Werner put in a match-winning performance as RB Leipzig went level on points at the top of the Bundesliga following their victory over 1. FSV Mainz 05. Want Timo Werner in your Official Fantasy Bundesliga side? Sign him up here! Werner got Leipzig off to a dream start with the opening goal just three minutes in. He then set up Emil Forsberg to double the hosts’ lead before helping himself to a second goal as Leipzig raced into what proved an unassailable position before half-time. His efforts mean Leipzig draw level on points at the top of the table, but did he do enough to earn your vote as #BLMVP? Have your say! Scored the fastest goal in Leipzig's Bundesliga history after 3 minutes.Had more shots on goal than anyone else on the pitch (four).Grabbed the third brace of his Bundesliga career.Now on five goals for the season.